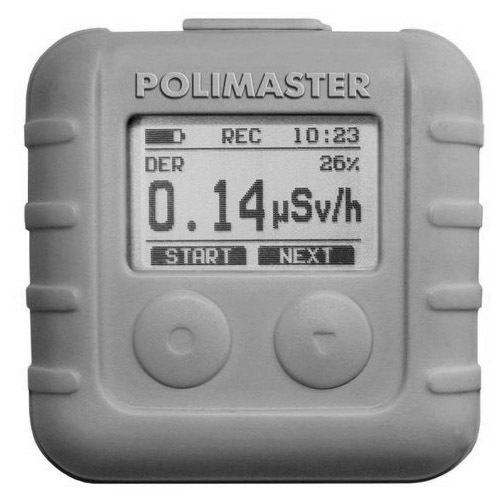 The professionally smart miniature dosimeter by Pollimaster accurately monitors and measures the personal dose equivalent Hp(10) and personal dose equivalent rate Ĥp(10) of gamma and X-ray radiation. 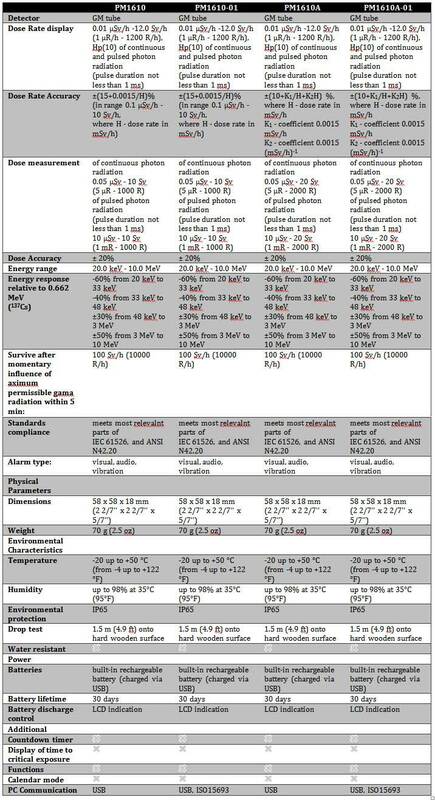 It is meticulously designed for measuring both continuous and pulse (from 1 msec) X-ray and gamma radiation in the wide energy range from 20 keV to 10 MeV. 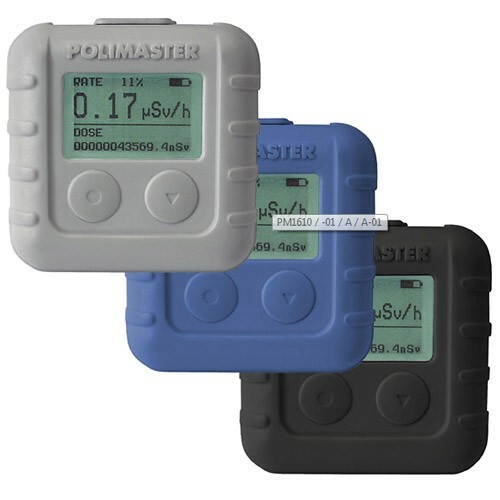 The reliable dosimeter has two independent threshold alarm levels for dose as well as dose rate. 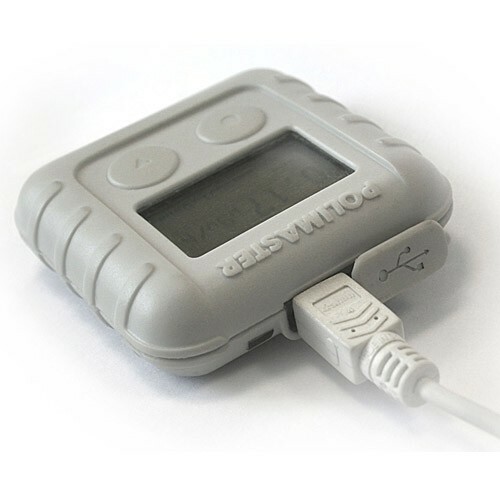 The savvy dosimeter alerts the user by audio, visual and vibration alarms when threshold level is crossed. The user friendly device has the option of disabling/enabling audio and vibration alarms. The instrument possesses a non volatile memory with the capacity of recording up to 7500 events dose rate change, acute dose levels, time and levels above threshold. The instrument comes in a shockproof rubberized case which gives it high durability in harsh environmental conditions. The LCD has a fluorescent backlight which makes it visually friendly in unsuitable circumstances. 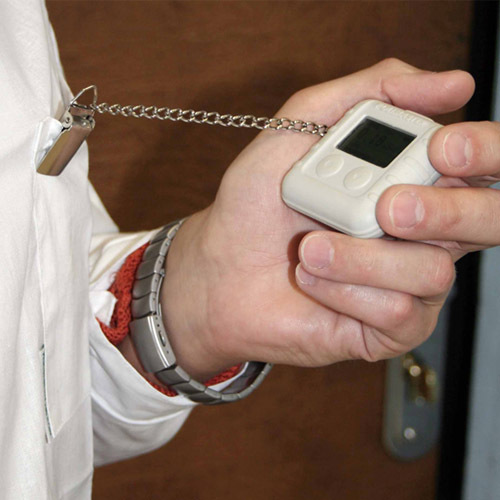 Experts recommend using the dosimeter across places like hospitals, mines, customs offices, nuclear stations or any place that poses the risk of gamma radiation exposure. Personal Dose Tracker software, developed by the Polimaster Company, enables serial connection up to 100 units of PM1610 X-Ray and gamma radiation personal dosimeters. The software enables information transfer by USB-protocol to a personal computer to analyze, process, and generate corresponding databases in a control center or an expert center.